Fishing for salmon in the Pacific Northwest is a popular sport. 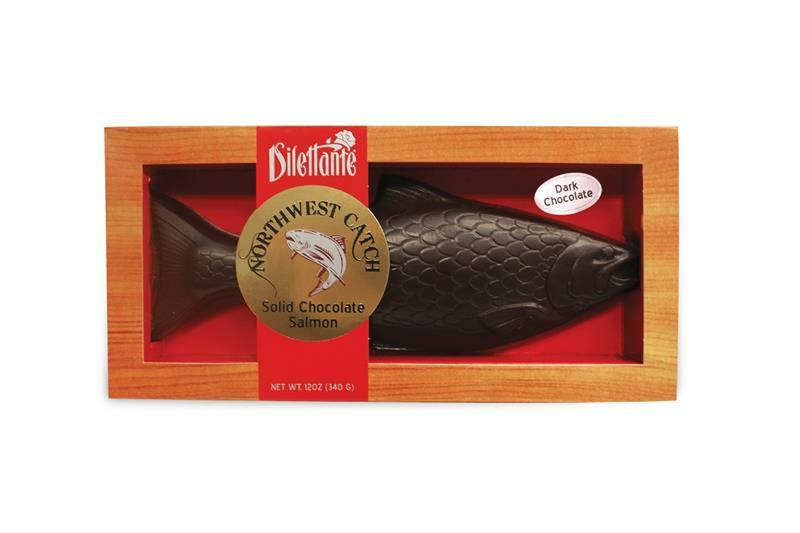 We've created this unique dark chocolate Northwest Trophy Salmon in a display box as a gift for that special someone who loves both fishing and chocolate. Each solid Chocolate Salmon is handmade with premium quality dark chocolate for a truly decadent gourmet chocolate gift. Thundermuck chocolate truffles are an artisan blend of locally roasted coffee enrobed in chocolate. 4 piece gift box. A best seller in our store! Crunchy toffee made in Woodinville, Washington and Pacific Sea Salt in creamy milk chocolate. 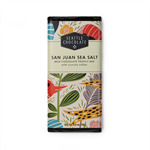 The perfect blend of sweet and salty, this truffle bar boasts local Northwest ingredients, a smooth meltaway center. 2.5 oz.